You’re going to be seeing more solar panels in movies, here’s why. Australia has the biggest uptake of residential solar power in the world, with more than 15 per cent of homes sporting panels on their rooftops. Yet when the camera spans across our neighbourhoods in films and television shows there is scarcely a solar panel in sight. Climate change solutions expert Dr Adam Bumpus wants to change this situation. He wants our films and television shows to reflect what is happening in society and create positive messages to generate positive behaviour change. A senior research fellow at the University of Melbourne's School of Geography, Faculty of Science, a winner of Top 5 Under 40 Science Communicators at the Australian Broadcasting Corporation, and a 2016 ABC Scientist in Residence, Adam believes documentaries and films concentrating on 'doom and gloom' predictions just have the result of overwhelming and disengaging viewers. He recently told Radio National's Life Matters program that we should be using film to inspire climate change action with cool and fun solutions as well as the inclusion of aspirational products such as electric cars. 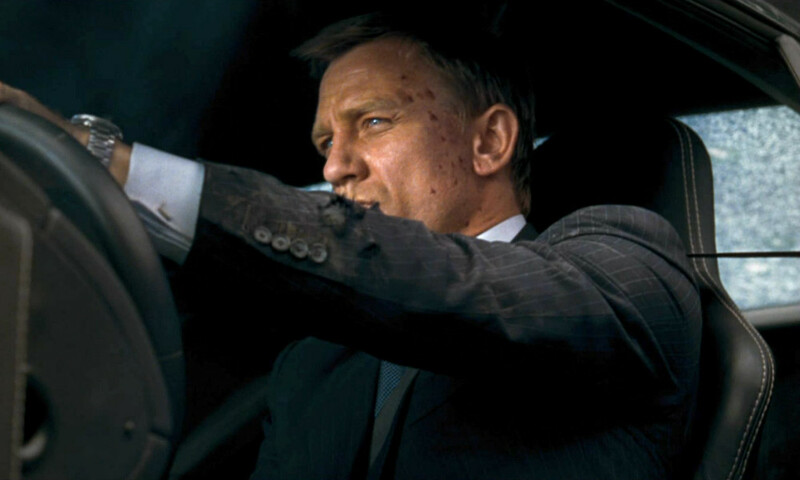 Picture James Bond driving the latest Tesla. Just as Australian dramas have been used in the past as a vehicle to convey community education messages around HIV, family planning and domestic violence, our filmmakers could be using sustainable products and behaviours to drive climate change solutions. Obviously the storyline has to be the primary driver, but why not use film to help people understand climate change and how we can play a part in shaping our future? Within the international film industry, there's plenty of movement in this direction. Last year the World Bank's Connect4Climate initiative spearheaded the global campaign Film4Climate – a commitment to develop a concrete plan to mitigate the environmental impact of film production as well as raise awareness about climate change through cinema. The recent blockbuster Star Wars: The Force Awakens won a 2015 EMA Green Seal Award from the Environmental Media Association for its sustainable film production practices focused on energy sourcing and waste reduction. All stages and workshops were fitted with smart meters and equipment tied into the electricity grid to avoid the use of diesel generators. The production avoided more than 1200 hours of generators, saving roughly 1944 gallons (7359 litres) of diesel and 102 metric tons (92.5 tonnes) of C02. They diverted 75 per cent of waste from landfill through recycling, composting, reusing and donating material. Beth Bell, founder and president of Green Product Placement, has transformed mainstream product placement into "positive placement". The US-based international media product placement company promotes and places only green, all natural, sustainable, socially enterprising and/or local entrepreneurial products in films, television shows and web media. Beth, a film and media professional, had her "light bulb moment" in 2011 while taking part in an online discussion on the TED website, with American documentary filmmaker Morgan Spurlock. "Media product placement is an inevitable part of the marketing and advertising landscape and it's not going anywhere," she said. "Why not use that very successful platform to promote companies that are green, or are socially enterprising, or are local/entrepreneurial?" Beth and her associate Lisa Dietrich have 40 years' combined experience in the film and television business in set decorating, set dressing and props. They frequently place green products such as food, drink, beer, wine and liquor; health and beauty; electronics and appliances; clothing, apparel and accessories. Their goal is to green the considerable amount of product placement choices that prop masters, set decorators, directors, makeup artists and costume designers make every day. "Why not work to change what people purchase all the time, based on what they see their favourite characters use and wear?" Beth says. "We provide a direct line for hands-on use by cultural trendsetters." The company has placed green products in more than 190 productions in four years. 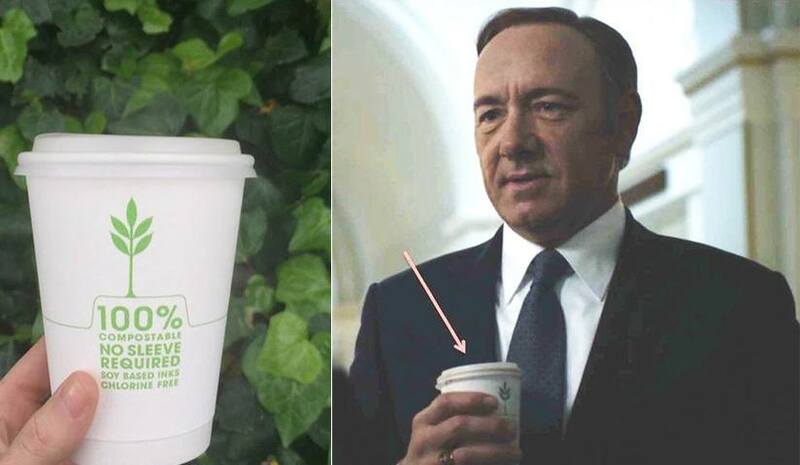 Repurpose compostable cups have appeared on the Emmy-winning Netflix series House of Cards and Law and Order SVU while a non-GMO snack bar featured on the TV series Suits. Other TV productions include the Emmy-winning HBO series VEEP, Gossip Girl, Orange is the New Black, Parenthood and The Good Wife as well as films such as The Intern, Superman Vs Batman and Annie. The team began placements in the UK in 2014, including the eco rom com Scottish Mussel and comedies Trollied and Catastrophe. Beth says the way that product placement works on unconscious decision making overlaps nicely with the recommendations of the UN Ecologic Panel in jumping sustainable behaviours with consumers. "As far as a direct cause and effect – placement to uptick in use – brand building is a complex process, and product placement works hand in hand with many other brand-building strategies," she says. "It would be hard to attribute any uptick in use to just one thing. That being said, product placement is a very important piece of the puzzle." The Film4Climate Global Video Competition 2016 invites filmmakers between the ages of 14 and 35 to showcase their talents through the creation of a public service announcement (60 seconds) or a short film (1 to 5 minutes) about climate action.